Play Bocce on Wednesdays on the patio at the W Hotel near the White House. Games are played on turf with bar bocce balls. Games start at 7:00pm and continue throughout the evening. Then stick around at the bar to make some new friends and keep the party rolling all night long! 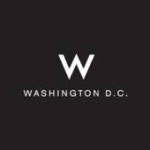 The W Hotel Bar will be offering a special menu for bocce players including $5 Bruschetta, $6 Risotto Fritters, and $12 Black Angus Burger or Grilled Chicken Sandwich. Peroni will be available on draft for $5 and make sure to score a raffle ticket to enter the weekly gift card raffle each time you purchase Peroni. This league will be governed by Bar Bocce Permanent Court Rules. Games will be played to 14 points or 45 minutes, whichever comes first. See the rules page for more details. Check out this Bocce league 'W Hotel Wednesdays' with DC Bocce League!